Thanks so much for your kind words Sandra! I am SO excited to start this project! 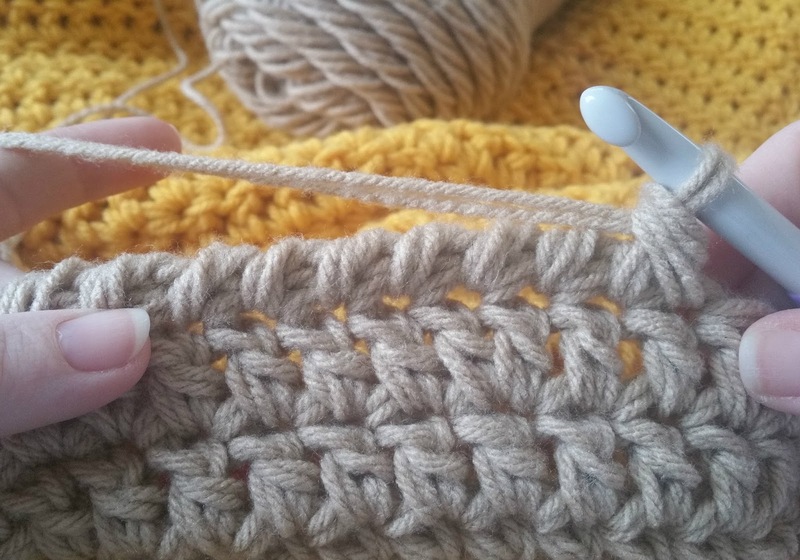 Thank you for posting your pattern! I'm making this for a friend's wedding gift, half cheese for her, and half supreme for her hubby! Great idea Alli, I love it! Thank you so much for sharing your pattern with us. Your little guy looks so adorable - can't wait to see my grandson snuggled up under his! I'm making this now (on round 21!) But I want to make it closer to king size... how would you suggest I do it? Thanks in advance! I apologize, I've only written the pattern up for the "throw" size but I am working on extending the pattern for a much larger pizza currently. Thank you for sharing your pattern! I'm on round 26 now and I need the blanket to be much bigger. Can you help me out please? Hi Kayla! 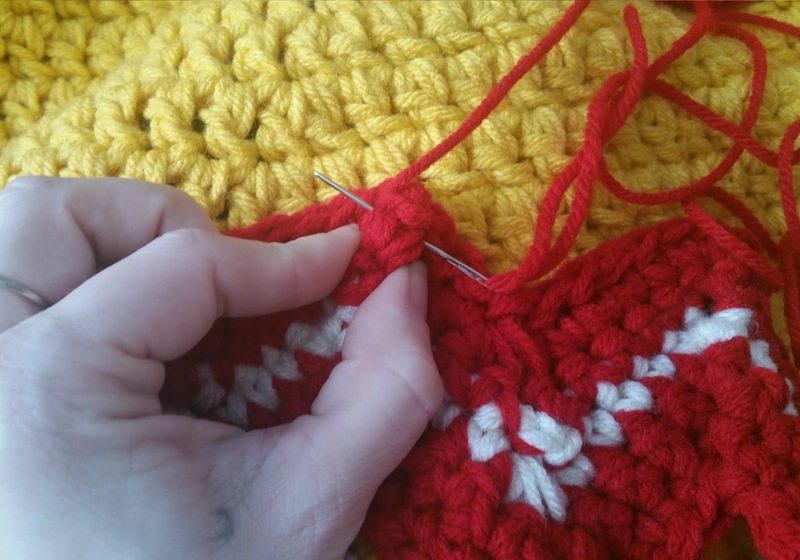 I apologize, I've only written the pattern up for the "throw" size but I am working on extending the pattern for a much larger pizza and I'll share the link here when I get it posted. thank u for this free pattern. do u know the diameter for this throw? Hi Catalina, the diameter is listed under "size" and it 55". This is a great pattern! I'll have to get busy now to have it ready for Christmas! Would a "single" strand make any difference in the finished product??? NICE WORK JENNI, YOUR CROCHET BLANKET, WAS LOOKING GOOD, MIDWAY THROUGH. 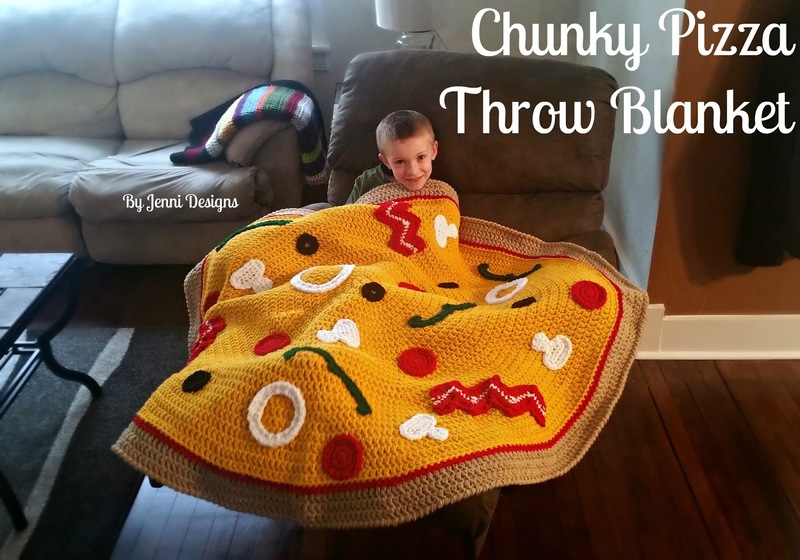 CREATIVE, FUN AND WARM, PIZZA BLANKET.